Did you know that majority of baby wipes contain harmful chemicals like formaldehyde, parabens, phthalates and fragrances - which often hide other chemicals, such as phenoxyethanol and other yucky preservatives? Top name brand wipes have scored 3 to 8 on the EWG Skin Deep Cosmetic Database website for safety hazards. Even some wipes labeled natural or fragrance free have high scores of 4+. The problem for mainstream baby wipes? Any time there is water in a soap solution, preservatives are needed to inhibit mold and bacteria from growing. But when you use castile soap, no preservatives are needed since castile soap has a high enough PH to preserve itself. That's why soaps like Earth Mama Angel Baby and Dr. Bronner are non-toxic and make great baby wipe solutions. 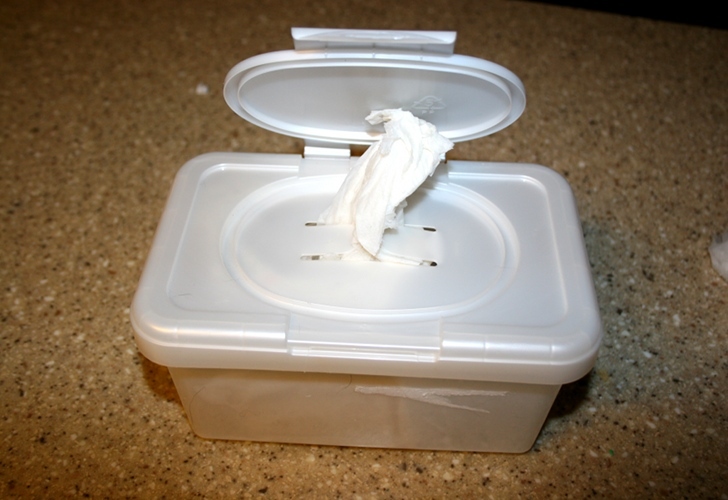 Read more on how you can make your own non-toxic baby wipes with a few simple ingredients! 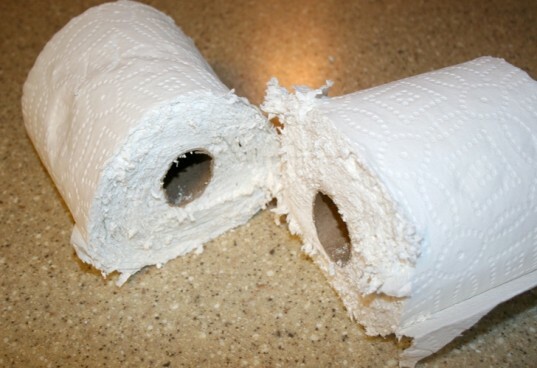 Use a sharp knife and cut the paper towel in half. It’s ok if you have jagged edges, but make sure you pull off the loose pieces. 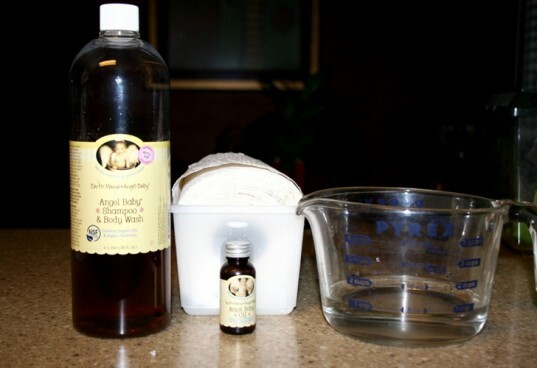 In a bowl or your measuring cup, gently mix the 1 cup of water with the 1 Tbsp of soap and 1 Tbsp of oil. It shouldn’t look super foamy. 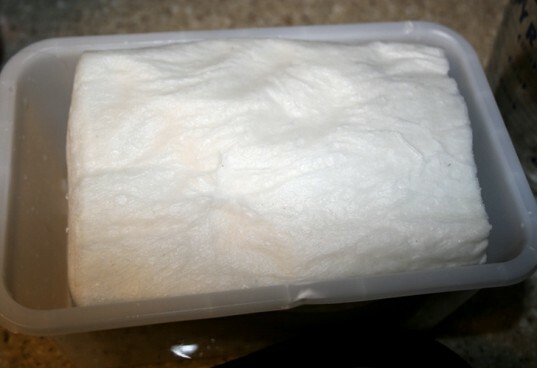 Pour 3/4 of your solution onto 1/2 of the paper towel roll in the container or bag. Saturate one side. 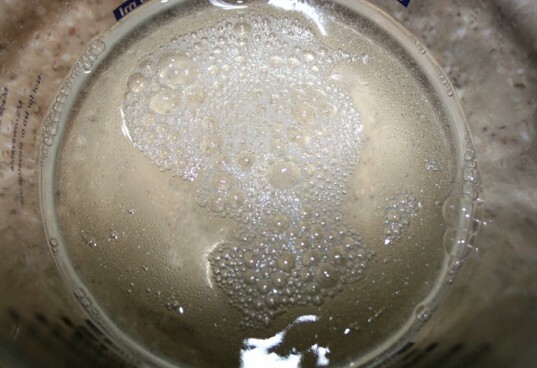 Soak your paper towel in the solution for 10 minutes and then flip over. Pour the rest of the solution on the other side and let it sit for another 10 minutes. Pull out the center of the paper towel roll. When pulling, this should lift the center paper towel so it comes out of the middle. Place in the container or bag for storage. 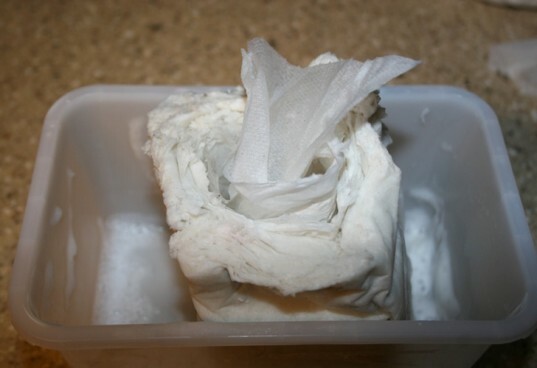 If you really want to be eco, use washcloths or cloth diaper wipes with the solution instead of paper towels. You can make a spray or store in your leftover soap bottle. Thanks for these directions! I've made these even more simple, you really only need a few drops of high quality lavender essential oil and a cup of water. Mix it quickly and pour over paper towels or organic flannel squares. The cloth ones are great for in a wipes warmer. Hi, I have made this recipe but find that the wipes are really sudsy. Is this normal? I just wonder how the soapy residue on my baby's skin will react. Thanks! The suds shouldn't be a problem- or at least I had no problem with them. If your baby's skin feels soapy, just wipe with water. Maybe try a little less soap the next time? Use a sharp knife and cut the paper towel in half. It's ok if you have jagged edges, but make sure you pull off the loose pieces. 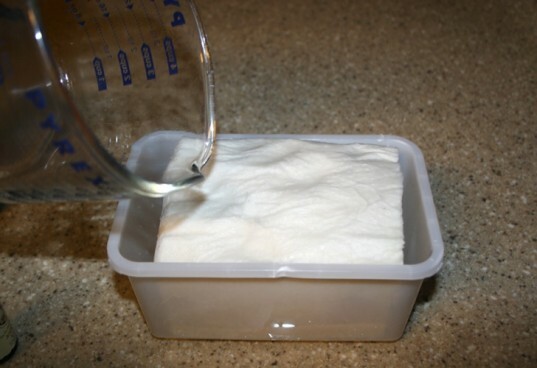 In a bowl or your measuring cup, gently mix the 1 cup of water with the 1 Tbsp of soap and 1 Tbsp of oil. It shouldn't look super foamy.